What seems like a long shot is the apparent claim that Western historians should provide a truthful and reliable account of a region's history, and then, in the year 1890, start to systematically misrepresent things. Well, Anton Führer claimed Buddha was born in Nepal - that was circa 1890. Its Anton Führer's discovery that used to this day. However, Anton Führer is a known fraudster. I have attached his charge sheet below. Führer's archaeological career ended in disgrace. Under official instructions from the Government of India, Führer was relieved of his positions, his papers seized and his offices inspected by Vincent Arthur Smith on 22 September 1898. Confronted by Smith about his archaeological publications and his report to the Government, Führer was obliged to admit "that every statement in it [the report] was absolutely false." These activities were presaged by Führer's publications on Sanskrit texts and law which, as shown by Andrew Huxley, are effectively works of plagiarism, large portions being copied from the writing of Georg Bühler. It only appears in a small number of attempts, like this one, to convince internet communities that the Buddha was born in Sri Lanka. (Sutta Central was subjected to such an attempt recently, it seems). A cynic might almost believe that the map was recently created for just such a purpose, but I'm open to persuasion. Yes, that's exactly what it was. Humble apologies, WT. I've corrected it now. The map was originally sourced from the site below. Was Fuhrer the only person ever to claim that the Buddha was born in Nepal, and is all the evidence for a Nepalese birth thereby discredited? Even if that were so, it would not mean that the Buddha wasn't born in Nepal, but it would mean that you had some sort of a case. Yes, it's as I said. The only English text on that modern blog is material presenting the Sri Lankan birth hypothesis. Here is an article about Carbon Dating and Dr Fuhrer's case, the debate was actually between India and two contested areas in Nepal, no mentions about Sri Lanka..
A comprehensive final chapter assesses the validity of the Peppé dig using carbon dating. In dealing with recent discoveries in the region, and with modern interpretations of the evidence, Allen covers the grim, yet hilarious battle, between India and Nepal over the true location of the Buddha’s birthplace. Unlike the respective tourist boards, he concludes that we don’t yet know where exactly the Buddha was born and raised, though Allen favours the Nepalese claim that the ruins of Tilaurakot by the river Banganga are the site of Kapilavastu. And he vouches for the authenticity of Peppé’s discoveries. Was Fuhrer the only person ever to claim that the Buddha was born in Nepal, and is all the evidence for a Nepalese birth thereby discredited? There are a few - read below. The statement of Dr. Cunningham in his book ‘The Ancient Geography of India’ bears testimony to this: No trace of Kapila has yet been discovered at the foot of the Himalayas. 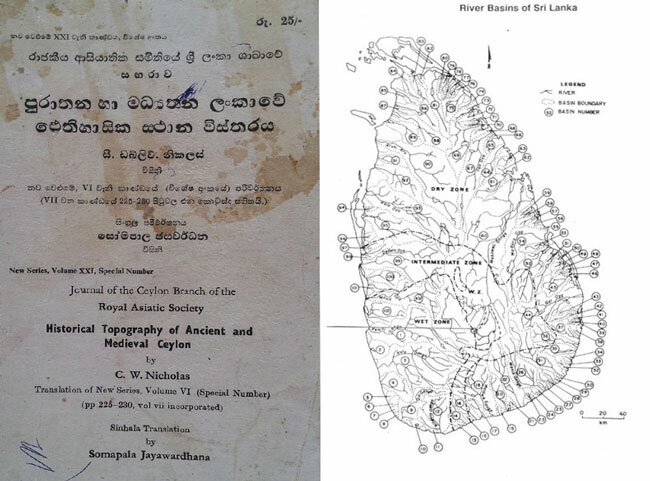 After the recognition of these areas as the birth-place of Lord Buddha, only recently (within sixty years) these names are being used in the maps and official documents. And the noted historian Dr. Smith asserts that the place of the discovery of the Tarai inscription was never called Rummindei; it was a forged name given to it by archaeologist Dr. Fuhrer. 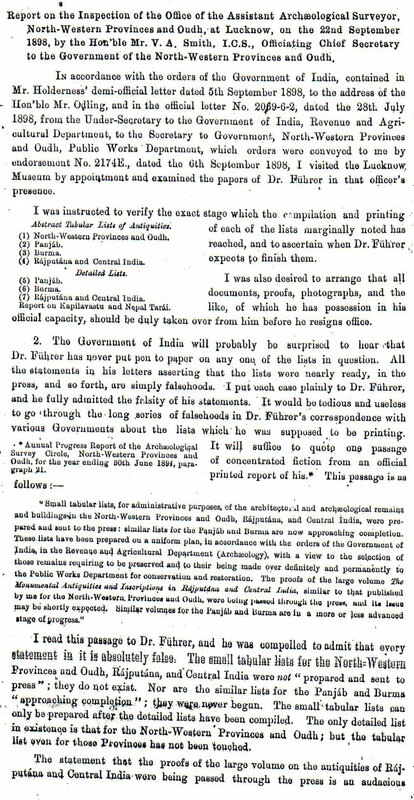 The noted historian V.A.Smith challenges this statement of Dr. Fuhrer and comments – “This gives no further evidence for Fuhrer’s assertion and it appears that neither the Nepalese officials nor the hill-men called it Rumindei.” This was forgery of the name by Fuhrer in order to convert his discovery to a conclusion and to relate it with the name Lumbini. Besides it has been proved that Buddhism had not been adopted in Nepal till the 6th century A.D. I'm still looking for a reason that Westerners from different rival countries would have for embarking on a systematic programme of historical revisionism in the year 1890. Edit: It seems like the two most debated locations are Piprahwa and Tilaurakot, and not Sri Lanka. Do you think this relic and the nearby shrine which has been carbon dated is fake? In the 2013 documentary, Bones of the Buddha, epigraphist Harry Falk of Freie Universität Berlin confirmed the original interpretation that the depositors believed these to be the remains of the Buddha himself. Falk translates the inscription as "these are the relics of the Buddha, the Lord" and concludes that the reliquary found at Piprahwa did contain a portion of the ashes of the Buddha and that the inscription is authentic. Bricks used to build the stupa were made of rice straw, a grain of rice taken from one of them during the excavation is carbon dated to a range of 60-160AD, a date consistent with the final phase of the building of the stupa in the Kushan era following Ashoka. Well, many things discredit Nepal birth. Some require knowledge of the Tripitaka perhaps the historians do not possess. For example, all these rivers flow towards the east says the Pali Tripitaka. However, they do not in Nepal/India. Here they flow towards the south. The rivers flow to the East in the island as shown below. 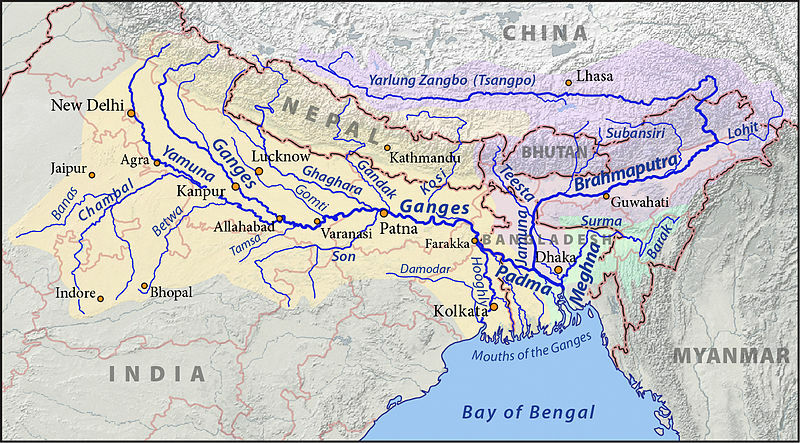 The old map with the rivers including the "Neranjana" here. The "Ganges" river (Present day Mahaveli river) marked in Ptolomy map of the island flowing towards the East. Last edited by rajitha7 on Mon Oct 22, 2018 2:04 am, edited 1 time in total. The first map actually fits the description pretty well, the rivers DO slant and incline towards the east. The second map is barely discernible..
Well, imagine Buddha was standing somewhere in Nepal. How would he describe the direction? South or the East? All Buddhas relics found outside of the island of Sri Lanka are most probably fake unless taken from the island originally. I have fixed it. Its marked in red colour. Was there also a Magadha with a capital called Rajgir, and Kosala with a capital called Savatthi in sri lanka at about this time? Ruled by people named Bimbasara, Ajatashatru and Pasenadi? If so it seems almost like Sri Lanka and India were stealing each others names.